The Canadian Sunscapades invasion (well, light intrusion) continues with another couple of screenings scheduled to take place in the blessed land of poutine and syrup later this month. 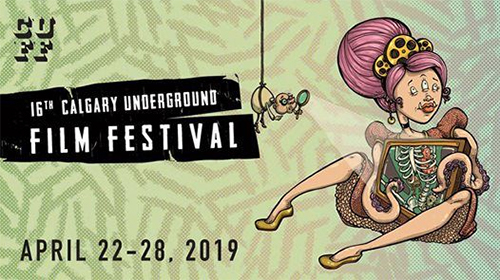 Following on from the film's recent outings in Toronto, Vancouver and Montreal it will be headed to the Calgary Underground Film Festival. In this instance it won't be part of a dedicated animation or shorts programme but will be the opening film before the independent feature Assassinaut, which looks like great fun. Calgarians can catch the films at 9:30pm April 25th and 4:15pm April 27th at the Globe Cinema - more info here. Also the aforementioned Courts Mais Trash/BIFFF screening scheduled for 10pm on the 20th I now know will take place at the BOZAR Centre for Fine Arts (fancy!) in Brussels. The event is listed as Courts Mais Trash rather than Carte Blanche as originally thought, at any rate you can find out more info on it and grab up your tickets here. Sunscapades is still nosing its way into the odd festival here and there, with its next screening taking place in Montreal, probably my favourite city. It will be part of Festival Courts d'un Soir which runs from April 3rd-6th, in the programme Les Très Courts on the 5th, 5pm at Cinéma Beaubien. 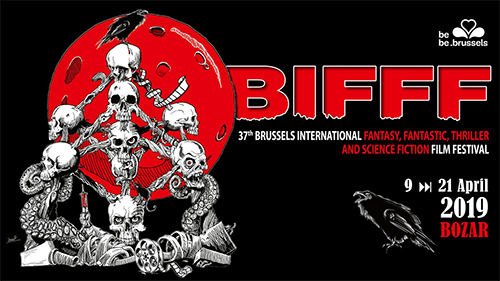 Later in the month, as an extension of its involvement in the Brussels Independent Short Film Festival: Courts Mais Trash back in January the film will also be screened during the Brussels International Fantasy, Fantastic, Thriller and Science Fiction Film Festival (BIFFF). Festivalgoers can catch it in the special programme Carte Blanche on April 20th at 10pm (not sure of the venue so I'd suggest checking the festival website closer to the time). Not a whole heap else to report for now although it's worth flagging that Secrets of British Animation, the documentary I peripherally contributed to which originally aired in December, was repeated the other day and so will be on the BBC iPlayer for another few weeks if you missed it the first time around. Just one festival lined up for Sunscapades this month. 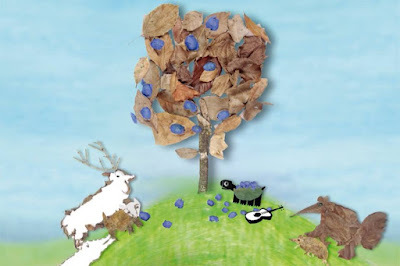 Them lovely Grecians at the Athens Animfest have included it in their 2019 official selection, along with 350 other films. Guess they ain't too picky but hey, glad to be on board. I go back quite a ways with this festival; they were one of the few events to feature my second film Ground Running a decade ago and also showed The Naughty List in 2011. 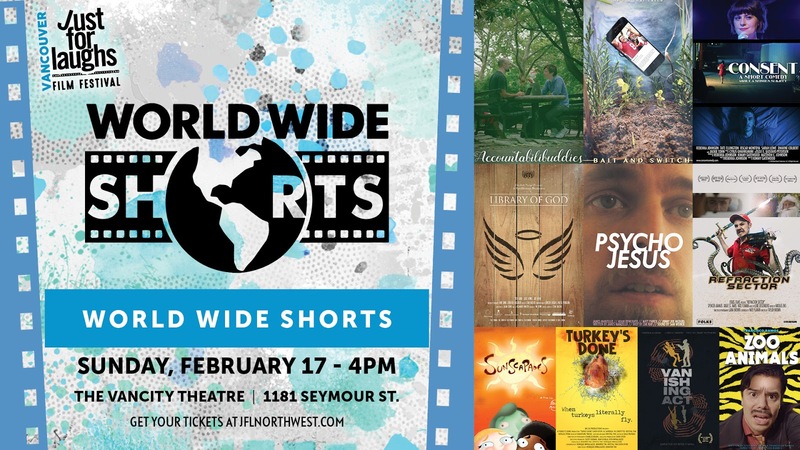 So I'm grateful for another inclusion and festivalgoers can catch the film in Shorts 6 on Saturday March 16th 8pm at the Oikia Theotokopoulou - for free, no less! 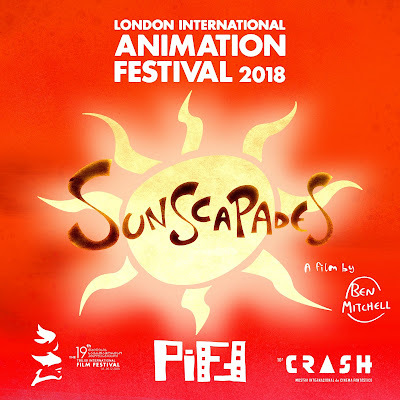 By happy coincidence Sunscapades will have another Canadian screening this month mere days before its BC debut at the Just For Laughs festival in Vancouver. 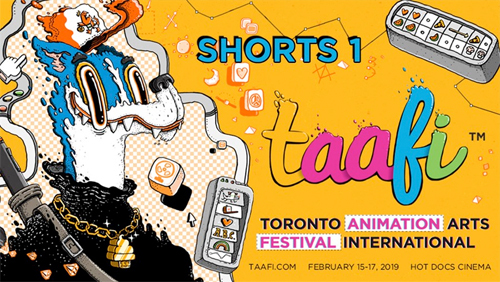 The film will be returning to Toronto for TAAFI - the Toronto Animation Arts Festival International - as part of the event's opening night screening Shorts 1: Comedy TONIGHT! This will be Friday February 15th, 7:15pm at the Hot Docs Cinema. Something I neglected to mention earlier but worth posting is that the lovely folks over at The New Current recently interviewed me about (mainly) Sunscapades during its participation in the British Shorts festival in Berlin last month. This is the same outlet that interviewed me for the 2018 edition of the festival when Klementhro was involved, although it appears that they've removed that year's coverage from their site (so you can read the older interview here instead). After a busy couple of months I think things will be slowing down for Sunscapades on the festivals front for the next little bit. Personal priorities were reshuffled and since August I haven't been as proactive when it comes to submissions, but I plan to do one more burst this year before I call it a day. This month there's only one festival lined up but it's a pretty exciting one, the Vancouver Just For Laughs Film Festival that runs from the 14th-23rd. I have a lot of fond memories of Just For Laughs from over the years (mainly meeting Chip) so this is a pretty special one to get to be involved with. It also puts the film in the running to potentially screen at the Montreal edition in the summer which would be a nice bonus, so fingers crossed there. 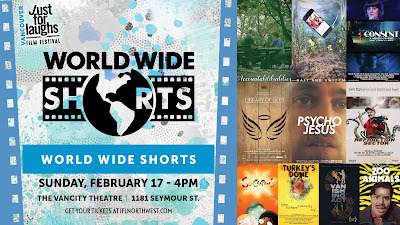 Sunscapades will play on Sunday February 17th in their World Wide Shorts screening at the Vancity Theatre. The overall line-up for the festival looks great, with Dave Attell, Michelle Wolf, Matteo Lane, Seth Rogan, Fred Armisen and many more on the bill so rest assured I'll be stewing in major FOMO while it's going on. And we made it to 2019. Go us. While 2018 was a very positive year for work and creative endeavours, in the real world we had a barrage of sadnesses to deal with that all came to a head in December. Such is life and its strange, at times arbitrarily cruel ways. Needless to say I am in awe of my wife, whose incomparable beauty in body and soul is matched by immeasurable selflessness under the hardest of circumstances. Would that we should all be so lucky to have such people in our lives and be better in ourselves as a consequence; maybe the world would be less streaked with the impotent rage and entitlement and fear that seems to be driving us forward these days. Ultimately right now I'm in a bit of a bubble where most of the stuff I write about on here (chiefly the podcastey/cartooney stuff), seems especially frivolous and my energy to accompany news updates with not-especially-pithy asides is pretty much nil. But I do continue to have enormous gratitude and respect for the arts festivals and magazine/podcast guests that give me their time, not to mention my employers and students, and so for the next little while I'll try and keep this site updated when I can, but if it seems a little more dry and methodical than usual, well, this is why. That was a long, clunky sentence. 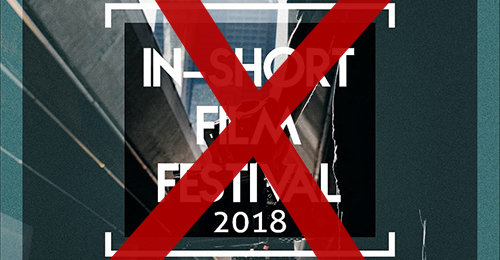 Firstly a little correction, last month I mentioned that the In-Short Film Festival based in Lagos (not to be confused with the near-identically-named InShort Film Festival) had selected Sunscapades to screen although the info they supplied was a little vague. Suspicions proved valid as it turns out they had been telling everyone who was preselected (possibly everyone who submitted) that their work had gone through so that they would spread awareness of the festival and boost its social media presence. Be it an innocent mistake or deliberate chicanery it's pretty poor form either way so I'd flag this event as one to avoid in future. Even this many years in I still occasionally learn lessons about being more discerning in which festivals to submit to and I guess this was one of those occasions. Fortunately there are some more reputable events that Sunscapades will be involved with this month. Firstly I'm really pleased to again be part of the London Short Film Festival following Klementhro's inclusion back in 2017. This time around I'll be part of the New Shorts: Animation Variety Showcase on Sunday January 13th, 4pm at the Regent Street Cinema. Then for the film's German debut another festival to have previously included Klementhro is the British Shorts Film Festival based in Berlin. They'll be screening Sunscapades in Festival Screening #3 at the Sputnik Kino on Friday January 18th at 11pm. The following night the film sees its Belgian premiere at the Brussels Independent Short Film Festival: Courts Mais Trash in their Unclassifiables 2 section. This one will be at 7:30pm at Les Riches-Claires. And that's it for now. Be excellent to each other, my friends. 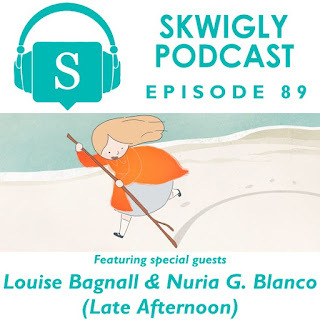 I want to give a special shout-out to my pal Isabel Peppard who helped put this in motion - I hadn't really planned out putting out a podcast this month for various reasons but thanks to her help this all managed to come together very quickly and sort of out of nowhere. I interviewed Isabel about her work for the site as well as our 2013 Annecy documentary and you can follow her amazing work on Instagram. 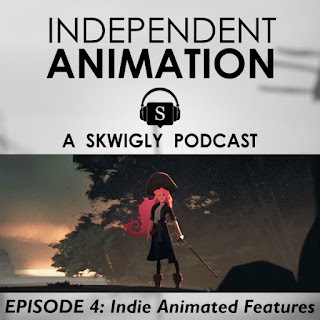 In the fourth episode of Independent Animation, the companion podcast series to my book Independent Animation: Developing, Producing and Distributing Your Animated Films (still on sale, folks!) I explore the daunting world of taking on feature-length indie animation with several auteurs who’ve taken the plunge. 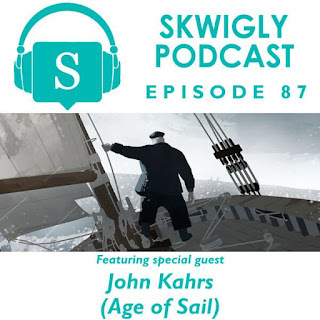 Building on the book’s explorations of major case studies including well-established artists such as Bill Plympton, Signe Baumane and Nina Paley, in this podcast several relative newcomers in the animation world talk about the challenges they faced when both taking on and releasing such mammoth endeavours without a pre-existing fanbase or substantial crew. These include Joel Benjamin (Where It Floods), Nicholas De Fina (LeSeurdmin) and Dan Ekis (Grey Island), who had me on his own indie animation-themed podcast last year. Also in this episode I speak with Natasha Price of Engine House, a Cornwall-based studio who are embarking on their own indie feature Back From The Dead Red thanks to the support of blockchain entertainment studio SingularDTV. If nothing else you all might enjoy listening with amusement as I attempt to fathom what blockchain even is like the out-of-touch fool I am. You can stream the episode above or direct download, whatever excites you more. Just to shake out the last few drops of 2018 festival news before the year comes to a close, the Ploiesti International Film Festival's Dark Comedy screening featuring Sunscapades will be taking place this coming Tuesday, December 18th 9pm at the Filarmonica ”Paul Constantinescu” Ploiești. Later in the week/month the film will supposedly screen at the In-Short Film Festival in Lagos, marking not only the film's African premiere but the first ever screening of any of my films in Nigeria. While they can't seem to decide if the event itself takes place on the 20th-22nd or the 27th-29th (and the comments on their Facebook page make for interesting reading) I'll give them the benefit of the doubt. Unless anything else pops up in my inbox I believe that's it for 2018. While this film has proved a harder sell than I'd honestly anticipated, the last few months of screenings and audience responses have been a massive boost and I'm really glad it's been finding itself some little cracks to fill. Who knows, maybe there'll even be a Sunscapades 2: Still Sunscapadin' one day.